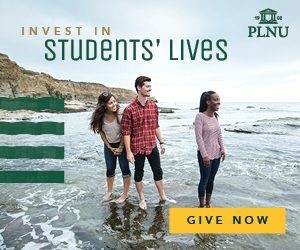 In 1976, a group of 14 PLNU students asked themselves questions that still resonate today: How can we challenge the status quo without destroying the system? How can we speak our truth and not be expelled from school? The campus was adorned in perfectly hued forest green and sunset gold while students and staff rallied and celebrated the truly victorious season that had come to an end. What a run. The LJWL Book & Bake Sale sale became a special event – a place where students could gather, browse, enjoy a pastry, and expand their personal libraries. For Lindsey Lupo, growing up in the golden age of hip-hop meant a view into the power behind lyrics, stories, and speaking up about injustice – a perspective she now brings to her students at PLNU. This is the power of a dinner table – or a potluck or a lunch date. Every shared meal is an opportunity to broaden our understanding of people through respectful and unguarded conversation. More than 70% of injuries in baseball are related to shoulder and elbow mechanisms. A PLNU research team is finding out which athletes are predisposed to these kind of injuries. Should You Go Back to School to Earn Your Bachelor’s Degree? Today, going back to school to earn a bachelor’s degree is more common than ever. It’s so common that the majority of people seeking bachelor’s degrees are now adult students. Last week I watched my college team make history. They clinched the NCAA Division II West Regional Men’s Basketball Championship and punched their ticket to the Division II Elite Eight. Going into college, Josh Miller knew he wanted to be a worship leader. What he didn't realize was how his journey at PLNU would grow, stretch, and call him to a life of excellence. Why it’s important to be aware of what the housing situation currently looks like in California, especially if you have plans to buy a home in one of those areas in the near or not-so-near future.